Yesterday we were photographing Trailffest 2014 ( Trailffest ), a half marathon run in support of local charities. Many congratulations to Jonathan Gilling and Zoe Mclennan the Men's and Women's winners. Prints and Hi Res files are now on sale on our website with all profits to be donated to the Wales Air Ambulance (Wales Air Ambulance) and South Snowdonia Search & Rescue Team ( South Snowdonia Search & Rescue Team). 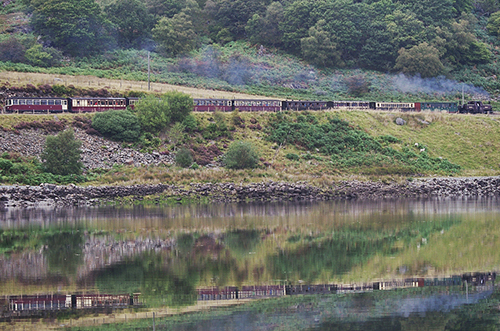 The picture is of the Trailffest competitors arriving at Tanygrisiau, Blaenau Ffestiniog aboard the Ffestiniog Railway.